Vancouver International Airport’s Innovative Travel Solutions (ITS) has announced that two BorderXpress kiosks have been installed on Ferries del Caribe’s cruise ship, the MV Kydon, making it the first-ever cruise operator in the world to install border control kiosks on a ship or ferry. This follows a five-month pilot program testing the kiosks, which found that they were successful in expediting passenger processing and improving the overall passenger experience “without compromising safety,” according to a Jan. 26 press release. The MV Kydon offers services from Santo Domingo, Dominican Republic, to San Juan, Puerto Rico. 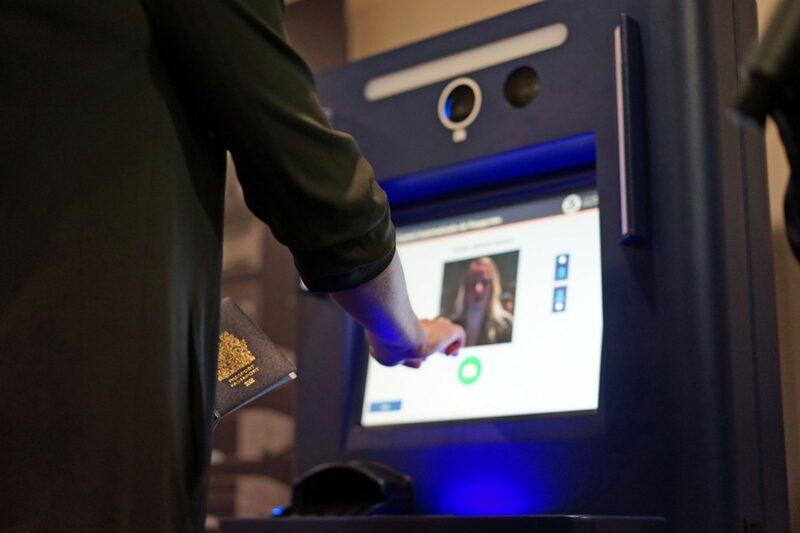 The BorderXpress kiosks can be used by US citizens, US legal permanent residents, Canadian citizens, travelers with ESTA (Visa Waiver program), and travelers entering with a B1/B2 or D visa. Currently, more than 1,300 BorderXpress kiosks are in use at 39 airport and seaport locations. As of December 2017, BorderXpress kiosks have processed over 160 million passengers in 36 languages. What differentiates the airport kiosks and the new cruise ship ones is that the latter can connect via satellite to a secured segregated VLAN for communication, and sends passenger encrypted information to a border control agency that returns a government response in seconds. A border services agent verifies the passenger’s receipt and makes the final approval to allow them into the country.